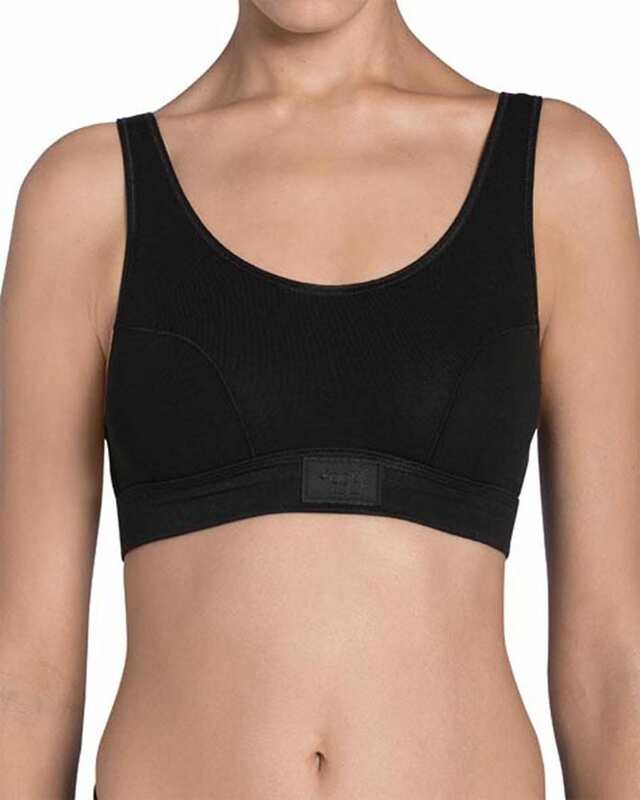 10022574- The Sloggi Double Comfort Bra Top is a lightweight pull on bra with a deep underband to avoid any riding up. Available in sizes 32-40 and in Black or White. 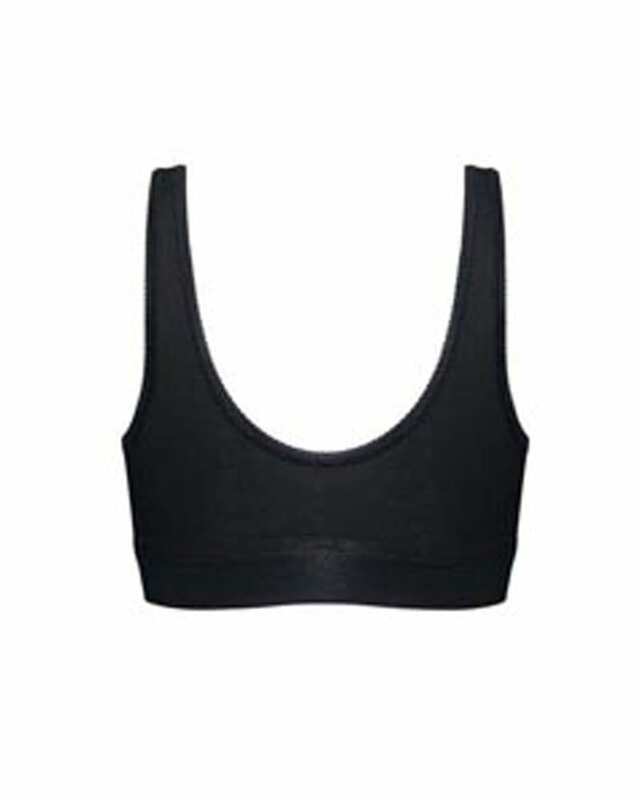 Made for comfort in 95% cotton, the Sloggi Double Comfort black bra top is a pull on bra in a crop top style. This easy to wear bra top gives a perfectly smooth fit due to an extra soft, double layered, wide underband which ensures a smooth line. Wider shoulder straps, spread the weight of the bust while flat edges make it invisible beneath clothes. Furthermore Sloggi have tested all fabrics and they are certified 100% toxin free.